CHARLESTON, S.C. (July 19, 2018) – The International African American Museum (IAAM) announced a $250,000 leadership gift from ScanSource, Inc. today. Based in Greenville, SC, ScanSource, Inc. is a leading global provider of technology products and solutions. As one of the museum’s key technology solutions advisors, ScanSource leadership will also be providing expertise and lending support during the planning, designing and building stages of the museum. ScanSource was interested in supporting the museum in part because of the IAAM’s evolving nature as a technology-centric institution, as well as the rich history the museum will showcase to the public. The museum’s interactive, multimedia learning experiences will engage museum visitors, while outreach and programming opportunities will extend the museum’s lessons to benefit local and regional communities. In addition to its technology advisory role, ScanSource’s investment will be recognized in the IAAM’s Interactive Heritage Map, one of the largest media installations in the museum. The Map will power programming opportunities for students of all ages, enabling exploration of culture and history, and advancing one of the IAAM’s main priorities – education. Nearly half of all enslaved Africans forced to America through the Transatlantic Slave Trade arrived in Charleston, and the vast majority disembarked at Gadsden’s Wharf, the future home of the International African American Museum (IAAM) and one of the most significant and sacred sites of the African American experience in the Western hemisphere. The IAAM, a museum, memorial and site of conscience, will present unvarnished history and culture, commemorate and celebrate the foundational role that Africans and their descendants played in the making of America, and highlight their diasporic connections around the world. 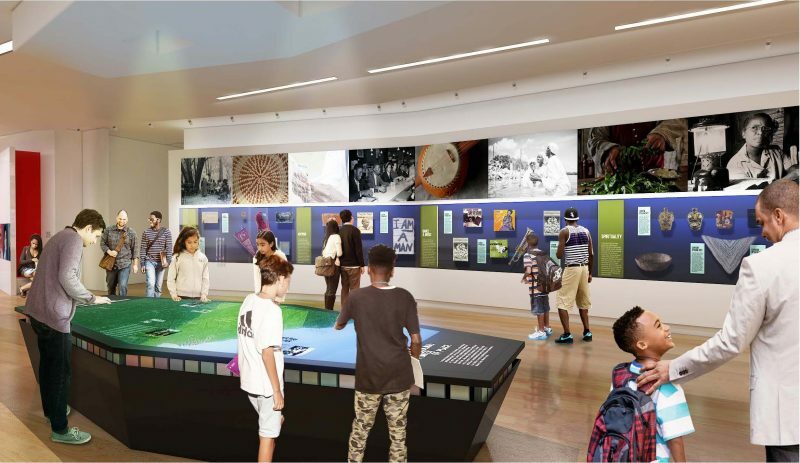 It will include immersive, interactive exhibits engaging to all ages and feature the Center for Family History, a leading genealogy archive that will help visitors identify their individual threads in the complex tapestry of history. ScanSource, Inc. (NASDAQ: SCSC) is a leading global provider of technology products and solutions, focusing on point-of-sale (POS), payments, barcode, physical security, unified communications and collaboration, cloud and telecom services. ScanSource’s teams provide value-added solutions and operate from two segments: Worldwide Barcode, Networking & Security, which includes POS Portal, and Worldwide Communications & Services, which includes Intelisys. ScanSource is committed to helping its customers choose, configure and deliver the industry’s best solutions across almost every vertical market in North America, Latin America and Europe. Founded in 1992 and headquartered in Greenville, South Carolina, ScanSource was named to FORTUNE magazine’s 2018 List of World’s Most Admired Companies. ScanSource ranks #647 on the Fortune 1000. For more information, visit www.scansource.com.